I have this little guy that I got from ikea. 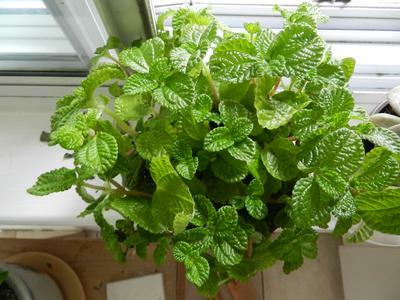 It's has small leaves on chubby and juicy pink stems that seem to crawl horizontally rather than grow vertically. The care instructions are the same as the other plants I got, even though those are succulent and I don't think this one is. It said to allow it dry out in between watering and put in indirect sunlight. But I have no idea what this plant is called and even though i only got it a week ago it already seems unhappy and some of the leaves are starting to dry up (though that might be normal for this plant?) I moved it to a east facing window (it was by a north facing one before) and I didn't notice much of a change. The tag on it just says "assorted tropical". In any case, I hope you can help out. I already contacted a few other websites that specialize in care/identification of tropical plants but they couldn't figure out what it was. Someone said its a creeping charlie/swedish ivy but from comparing the pictures I do not think that is right. Any help on its identity and how to care for it would be greatly appreciated! Hi Abby, boy your collection is growing in leaps and bounds! This is one of the easiest types of houseplants to grow, and is a common starter plant; most people can grow it successfully, so you should have no problem. It likes a moist environment, so have a tray of pebbles close by that you can add water to periodically - don't let the plant sit in the water, just have it close by. This adds some humidity to the air. These types of plants dislike having warm air from a forced air furnace or cold air from an air conditioner blowing on them, so avoid placing them where this could happen. An east window is fine; these plants like bright diffused light, so have a sheer curtain between it and direct sunlight to avoid the leaves getting scorched. I have heard it called Creeping Charlie, and Swedish Ivy - but it's a bit different; I can't do any research right now due to slow line speed, but if you do a Bing search for common houseplants, you might find it; whatever this is it's super easy to root. Just pinch of a bunch of overly long stems when you go to prune it, and stick them in a glass of water. Caution; the sap starts out clear, but it will stain your fingers with a yellow color, which makes it look as though you are a heavy smoker! Best of luck with your super easy plant! Return to Succulent Identification Solved.